The Iron Curtain stretched over a distance of almost 7,000 kilometres through Europe from the Barents Sea to the Black Sea and divided the continent into east and west. Until the peaceful revolutions in Eastern Mid-Europe, it was the physical and ideological border between two hostile blocs. Not only were many neighbouring countries separated thereby, but also Germany was divided into east and west. Today there is hardly anything left to see of the former death strip, the remnants are no longer a dividing line. Memories however must be made visible! We know that there are no mutual memories between west and east. 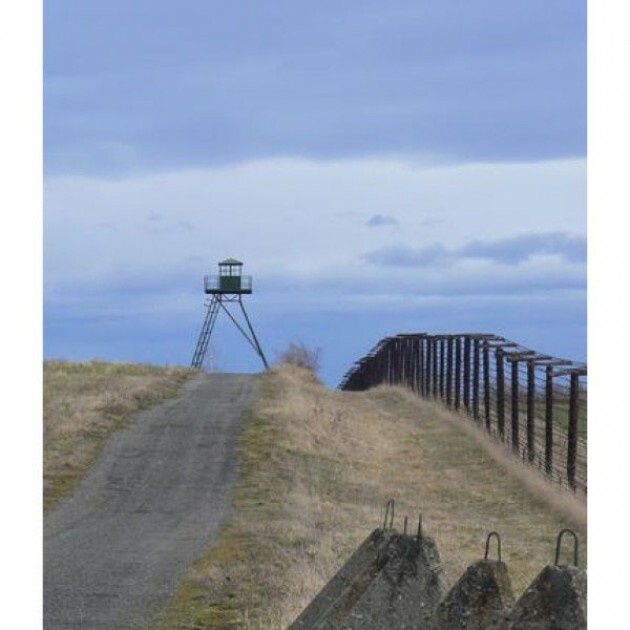 The eastern and western Europeans have very different memories of the border, also because it was interpreted completely contrarily by the official politics in both parts of Europe. What the Warsaw Pact countries glorified as “protection from the class enemy“, was seen by the western countries as a symbol of the lack of freedom that socialism actually provided. Visible memories are already present with the “Berlin Wall Trail“. For the 40th anniversary of the erection of the wall, I initiated a proposal, as a member of the Berlin House of Representatives, in which the senate was requested to designate a cycle and hiking trail along the former border, to place the remaining portions of the wall under monument conservation, to design it cycle-friendly and to signpost it. The public is invited to the “wall forays“ by the Alliance ‘90/The Greens which have been performed every summer by the author since the year 2001. 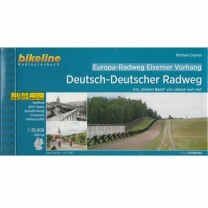 The book “Berlin Wall Trail“ was simultaneously published by the Esterbauer Verlag in the series bikeline, in which the 160 kilometres around West Berlin – 40 kilometres between the two city halves, 120 kilometres between West Berlin and the surrounding – were described. After the proposal was accepted in the Berlin House of Representatives, the senate dedicated themselves to the realization of the wall trail. Since then the trail has been signposted and developed cycle and hiker friendly. A memorial was erected for the last victim of the wall, Chris Gueffroy. Nearly all remaining authentic relicts have been placed under monument conservation in the mean time. As an addition to the marking of the former course of the wall and the artistic design of the border crossings, the “Berlin Wall History Mile“ was brought to life. This is a permanent exhibition in four languages (German, English, French, and Russian), which provides information about the history of the division, construction and opening of the wall at over 30 locations. Photos and short texts describe events which took place at the respective locations. The “Berlin Wall Trail“ became part of Berlin’s tourism programme and is the first project which combines “soft“ tourism with city tourism. One can actually “experience“ the history, culture and politics in Berlin in a true sense. Not only Berlin, but also Germany was divided for several decades. It is also important to remember the 1,400 kilometres long inner German border. Therefore the national caucuses of the SPD and the Alliance ‘90/The Greens submitted a proposal to the German Parliament (DS 15/3454) on June 30, 2004 to transform the former death strip into a living space. 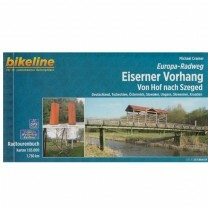 It would be developed for “soft tourism” and be a part of a European Green Belt along the former “Iron Curtain“. The German Parliament voted unanimously in favour thereof in December 2004. The “German German Trail“ along the “Green Belt“ leads along 150 nature preservation areas and integrates numerous flora-fauna habitat areas, the three biosphere reservations Schaalsee, Elbaue and Rhön as well as the national park Harz. It leads from the Baltic Sea to the Czech border along numerous rivers and lakes and takes you over the Harz Mountains as well as through the forests of Thuringia. It passes many memorials and border land museums as well as some still remaining observation towers. Europe was also divided for many decades. The Iron Curtain stretched from the Barents Sea on the Norwegian-Russian border to the Black Sea. Today it is no longer a divider. It is a symbol of a common and total European experience in a reunited Europe. This was also a reason why a large majority of the European Parliament voted for the proposal of the author to create the Iron Curtain Trail in his report on “New Perspectives and Challenges for a sustainable European Tourism“. It is a part of the collective memory with which the often invoked European identity can be promoted. The history of the division of Europe did not begin with the end of World War II, but rather when Hitler seized power on January 30, 1933 and when German troops marched into Poland at the beginning of the World War II on September 1, 1939. Without the triggering of World War II by Nazi Germany, Europe would not have been divided. The anti-Hitler coalition, despite its differing ideologies, was united in the common fight against National Socialist Germany. Things changed, however, shortly after the German army’s unconditional surrender. On March 5, 1946, the former British Prime Minister Winston Churchill, who had been voted out of office after the end of the war, stated in his famous speech in Fulton, Missouri that part of Europe had disappeared behind an “Iron Curtain“, creating a division of Europe. The Cold War had begun. Since the leaders of the Warsaw Pact States were not willing to grant political freedom and proved incapable of solving their countries’ economic problems, there were repeated uprisings. The popular uprising in the GDR on June 17, 1953 was the first in the Soviet-controlled bloc after World War II. It was followed by the Pozna demonstrations in June 1956, the Hungarian Revolution in October 1956, the Prague Spring in 1968, the Charter 77 in Czechoslovakia as well as the birth of the Solidarno movement in Poland in 1980. The activities of the Solidarno trade union, Hungary’s success in reaching out to the West, the independence movements in the Baltic states and the removal of the barbed wire fence at the Hungarian-Austrian border by the two countries’ Foreign Ministers Gyula Horn and Alois Mock on June 27, 1989 all paved the way for the fall of the Iron Curtain on 9 November 1989 and thus the end of the Iron Curtain in Europe. Using the Berlin Wall Trail and the German German Border Trail as examples, a cycle and hiking trail is to be developed along the previous Iron Curtain on the former death strip, which allows travels along the common history of our continent. Since 2002, the 6,800 kilometre long “Green Belt“ from the Barents Sea to the Black Sea has been under the patronage of Mikhail Gorbachev, the former President of the Soviet Union and now President of “Green Cross International“ (GCI). With this, the meaning of the Green Belt for the protection of nature and the value as symbol of the reunification of east and west is also internationally recognized. If the member states realize the project in collaboration with the European Parliament and the EU Commission, one will also be able to experience European history, politics and culture. Twenty countries, 14 thereof EU Member States, are involved in this project. 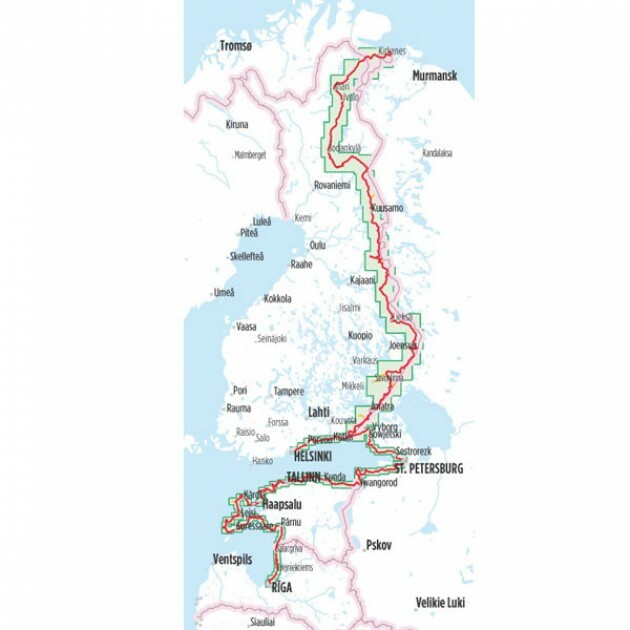 The trail begins at the Barents Sea and follows the Norwegian-Russian border and the Finnish-Russian border to the Baltic Sea before heading along the coastline of Estonia, Latvia, Lithuania, Kaliningrad, Poland and the former GDR. From the Priwall Peninsula by Travemünde it follows the former border between East and West Germany to the point where Saxony, Bavaria and the Czech Republic meet. Then it follows the highlands of the Bohemian Forest, passes Moravia and the Slovak capital of Bratislava and crosses the Danube near Vienna. It then follows the southern border of Hungary via Slovenia and Croatia. Between Rumania and Serbia it mainly follows the Danube, through Bulgaria, the former Yugoslav Republic of Macedonia and Greece, to end at the most northern point of Turkey on the Bulgarian coast of the Black Sea. The trail stretches over numerous national parks with interesting flora and fauna and combines a number of unique landscapes which have mostly remained untouched due to their vicinity to the border and former exclusion zones. It also connects countless monuments, museums and open-air facilities which commemorate the history of the division of Europe and the overcome with the peaceful revolutions in Eastern Mid-Europe. The proposed route is to be understood as “work in progress“. The local people naturally know more about their area, there are also always changes due to construction etc. Therefore, the author and the publisher are thankful for comments and suggestions which are based on the above mentioned criteria. These three volumes of the “Iron Curtain Trail“ would not have been possible without the support of other persons and institutions. Therefore I would like to greatly thank the “Foundation for the Reconciliation of the SED Dictatorship“ for their generous support, who opened their archive and provided many historical photos. I would also like to thank Roland Esterbauer and his colleagues for supporting the project from the beginning and for the professional realisation. 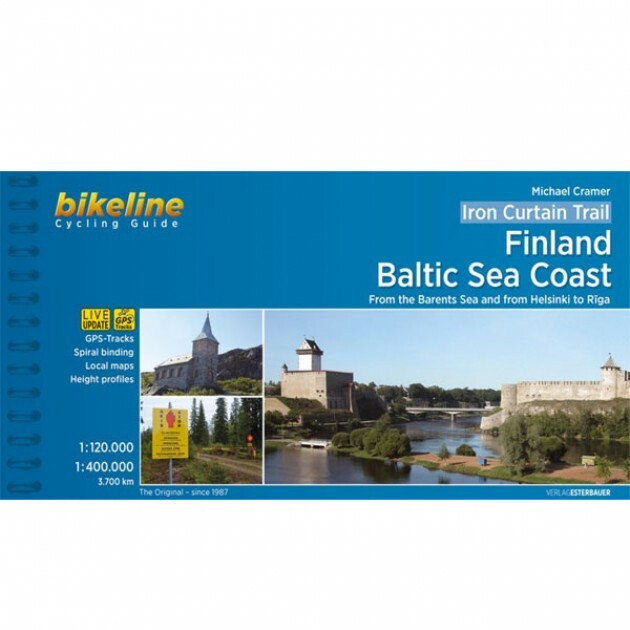 For volume 1 of the “Iron Curtain Trail“, Timo Setälä was on the road with his bike on the Norwegian-Russian and the Finnish-Russian section, followed by Frank Wurft who documented the Estonia-Latvian part to Tallinn. My thanks go out to Stephan Felsberg for the portion from Tallinn via Lithuania, Kaliningrad and Poland to the German-Polish border. 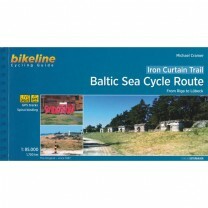 For volume 2, the section from the German-Polish border to the Priwall Peninsula by Travemünde could be taken from the “Baltic Sea Trail 2“ from the Esterbauer publishers. The section from the Baltic Sea to the German-Czech border was a revision of the “German German Border Trail“ which was published in 2007. Pavel Svoboda was on the road for volume 3 along the Czech-German border and was relieved by Dr. Pavel Sroubek who documented the Slovakian-Austrian portion. Adam Bodor was responsible for the border stretch of Hungary with Austria, Slovenia, Croatia and Serbia. My thanks also go out to Marco Bertram for the final portion through Romania and Bulgaria with detours to Serbia, Macedonia, Greece and Turkey to the end of the cycle trail at the Black Sea. I was greatly supported in the coordination of the project and the editing of the three books by Korbinian Frenzel, Christoph Gelbhaar, Uwe Giese, Antje Kapek, Jens Müller, Liesa Siedentopp and Erdmute Safranski who also receive my special thanks. Further I would also like to thank the European initiative European Green Belt (www.greenbelt.eu), who brought the “Green Belt“ project to life together with nature conservationists from the middle and eastern European countries, which in the mean time has become one of the most successful and symbolic European projects. And finally I would like to thank Mikhail Gorbachev, who has been President of Green Cross International since 1993 and supported the project “Green Belt“ with enthusiasm. Twenty years have passed since the fall of the Iron Curtain in Europe. We know: only those who know their past will master the future. We all want to create a positive future, we all want to remember the decades of the division of our continent with wistfulness and with thanks to the overcome thereof, with the peaceful revolutions in Eastern Mid-Europe. In this sense, I wish you good reading and great pleasure experiencing European history, politics and culture. Before you can begin your tour along the “Iron Curtain Trail”, you must get yourself to Kirkenes in northern Norway. 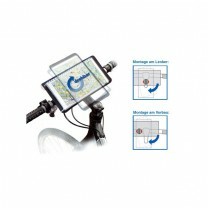 There are various possibilities of how to get there. You can either take the train from Helsinki to Rovaniemi and then the bus or you can fly directly to Kirkenes from Oslo. There is a night train that departs from Helsinki at 19:27. This might be the best choice since the train has sleeping compartments. The train arrives the next morning at 11:10. Afterwards, you must take the Eskelisen Lapinlinjat bus to Inari. The bus leaves the station at 11:10 and arrives in Inari at 16:55. From Inari you will take the bus to Kirkenes. This bus only travels once per day and leaves at 8:30 in the morning. This naturally means that you must spend one night in Inari. You can choose from the Hotel Inari, the Hotel Inarin Kultahovi and Uruniemi Camping. You require a visa when travelling through the area of Kaliningrad. It is best to request this at a travel office in good time (1-2 months in advance) so that no additional costs arise.